Nathan Cohn, active for more than fifty years in the measurement and automatic control fields, and a pioneer in the development and application of control techniques for electric power systems, was born in Hartford, Connecticut, on 2 January 1907. He received his primary and secondary school education in Chelsea, Massachusetts, and New York City. Following his graduation from MIT with an S.B. degree in 1927, he joined the Leeds & Northrup Company, Philadelphia, manufacturer of precision electrical instruments and automatic control systems, with whom he was associated for the next 48 years. He served as Manager of the Company's San Francisco office from 1929 to 1937, of its Chicago office from 1937 to 1951, and of its West Central Region from 1951 to 1955. In 1955, Cohn returned to Philadelphia as Manager of the Company's Market Development Division. In 1957, he was named Vice President, Technical Affairs, responsible for the Company's Research, Development, Engineering and Patent activities. 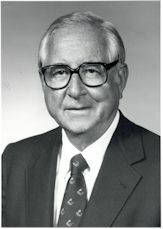 He was elected to the Company's Board of Directors in 1963, was named Senior Vice President, Technical Affairs in 1965, and Executive Vice President in 1967. He retired from that position in 1972, and as a Company Director in 1975. However, he continued his work in engineering by lecturing, writing, and doing research. Cohn was best known for his contributions to the control of interconnected electric power systems. He devised many of the fundamental concepts and techniques now in widespread use for automatic control of generation and power flow, which have helped make possible the geographically wide-ranging networks currently in operation in the United States and Canada, and elsewhere. His major contributions included the use of a "sustained" frequency bias for inter-area control, the application of distributed frequency-biased net interchange controls in all areas for bulk power transfers, an analysis of system response that permits coordination of area controls with inherent area governing characteristics, and the development of a combined feed forward-feedback computer-control technique for stable economic generation allocation. Cohn also developed a method for computing the magnitude of unscheduled energy transfers caused by each of the participating areas of the system. Many patents related to this field have been issued to Cohn. His technical papers and his book on this subject have become basic references in this country and abroad. As his work was known internationally, he was invited to lecture in South America, Europe, and North America. For his contributions to power systems control, he was awarded the Lamme Medal of IEEE, the Wetherill Medal of The Franklin Institute, and the Sperry Medal of the Instrument Society of America (ISA). In 1976, Cohn was awarded an honorary Dr. of Eng. degree by RPI. Also in 1976, he was elected an Honorary Member of ISA. In 1978, he received the Scientific Apparatus Makers Associations (SAMA) Award for his contributions to the scientific instrument industry. In 1969, the Pennsylvania Society of Professional Engineers named him Engineer of the Year, Pennsylvania. Cohn was a Life Fellow of IEEE and the Franklin Institute. He was a Past Chairman and a member of the Board of Managers of the Franklin Institute of Philadelphia, and had served as a member of the Board of Directors of Engineers Joint Council. In the international area, Mr. Cohn visited the Soviet Union under the State Department's Cultural Exchange Agreement to examine that country's progress in the automatic control field. He has served as a consultant to the Paris Secretariat of OECD. He has been active in the International Federation of Automatic Control since its founding in 1958, serving on many of its committees, and participating in each of its Trienniel World Congresses, serving as chairman of the U.S. Organizing Committee for the Sixth Congress in 1975. He was the 1982 recipient of the IEEE Edison Medal "For a career of creative contributions and leadership in the instrument, control and process computer industry, in the control and economic dispatch of power in large interconnected electrical systems." He was married to his wife Marjorie for nearly fifty years and had five children with her. He passed away in Arizona on 16 November 1989. This page was last edited on 9 February 2016, at 19:01.